Sometimes the best laid plans of rovers go astray. After wrapping up at the Rock Hall drill site yesterday, the plan was for Curiosity to start driving towards the clay-bearing unit (our first drive in about a month), starting with a series of small bumps so that MAHLI could take images of the full outer circumference of the wheels (as described in the blog for Sols 2293-2294). However, an arm fault prevented yesterday's drive from executing, and today Curiosity remains parked in front of Rock Hall. The good news is that we get one more day to explore this spot. Before we reattempt the MAHLI wheel imaging and the drive, Curiosity will use the DRT to brush dust off of the target Bothwell, image it with MAHLI, and collect chemical data overnight with APXS. ChemCam will explore a few more targets here as well, including LIBS observations of the bedrock targets "St Ninians Tombolo," "Stac Pollaidh" and "St Cyrus 3," and a long-distance RMI mosaic of a butte of layered sulfate-bearing rocks towards Mount Sharp. 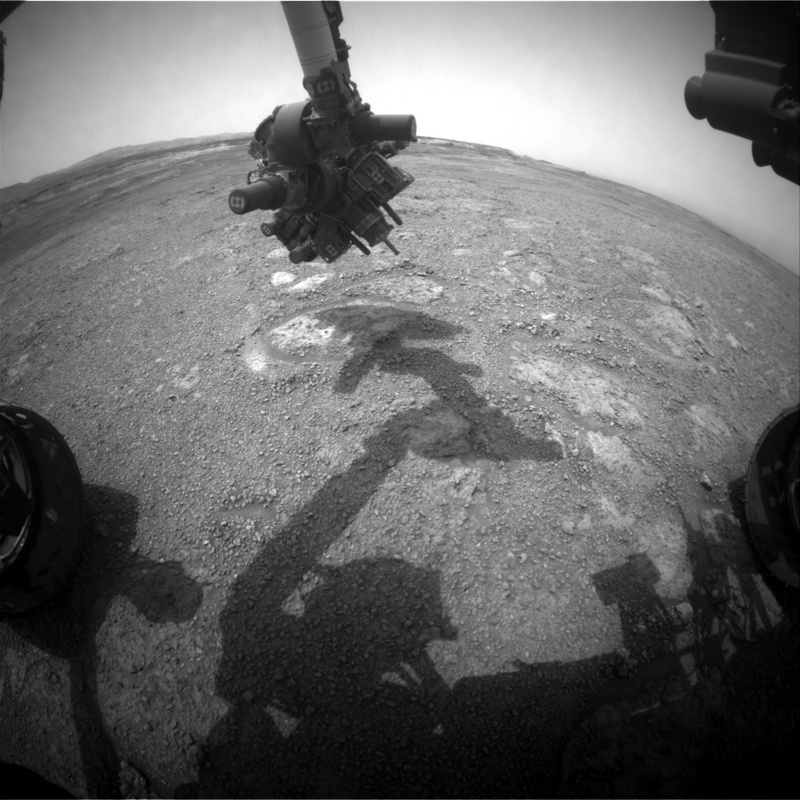 After this bonus science, Curiosity will make the first of several eastward drives to exit the Vera Rubin Ridge and enter the clay-bearing unit. When we return from the Martin Luther King Jr. Day holiday next week, hopefully we'll be greeted with images of a brand-new workspace to explore!